Welcome to Sunrise Detox in Alpharetta, nearby but quiet and comfortable, serving the greater Atlanta Metro community. Inviting dining area, always open, with a variety of favorite and nutritious snacks and drinks. Treatment for addiction to drugs and alcohol starts with a 3-10 day medical detox, before starting rehab or an outpatient treatment program. Often it is the initial detox experience that sets the stage for recovery, and Sunrise Detox Alpharetta represents the finest "detox with dignity" for the best start of a successful recovery. Over 800 treatment centers have sent their patients to Sunrise Detox for medical detox before rehab. 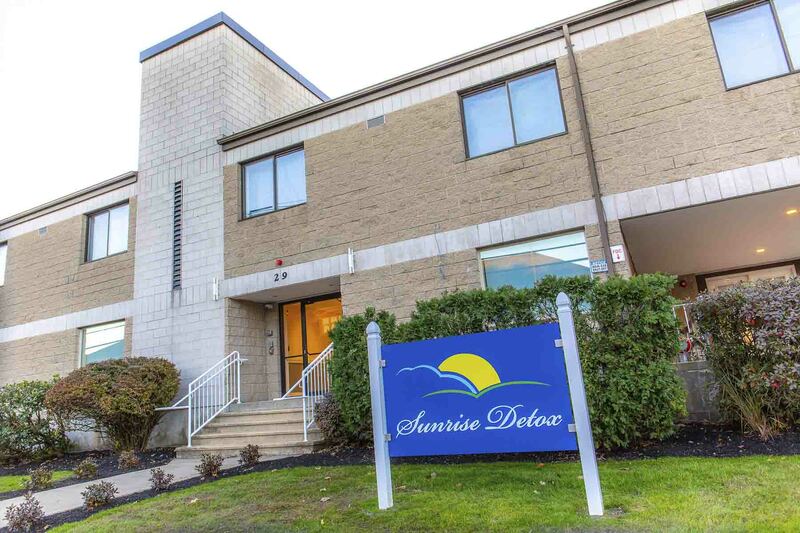 Over 35,000 families have trusted Sunrise Detox for safe, comfortable, medically-supervised detox, many choosing to start themselves at Sunrise, before choosing a residential rehab program. Get help for opiate addiction, pain killer addiction, unsafe or unwanted dependency on presciption medications, alcohol, or other drugs. Get help by making a call and speaking with one of our experienced admissions coordinators. We've prepared a photo tour of our Alpharetta detox center so you can witness for yourself our "Detox with Dignity" approach to successful medical detox from drugs or alcohol. You don't need to have all the answer to get started. If you are ready to make a change, and willing to accept help, the very first step is to detox. Our professional nursing staff and detox technicians will take care of everything, so you can focus on your success. And when it's time to consider your treatment options, we will help you in every way that we can. Sunrise can place you into detox and treatment in New Jersey, Georgia, South Florida or Central Florida.We’ll get you into your new and improved life quicker than you think is possible. That's our commitment to you: follow our program, keep an open mind, and we’ll do more than our part to help you succeed. 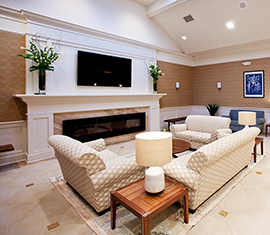 The Alpharetta detox center includes the same level of fine living spaces as our other Gold Seal treatment centers, to support you in your recovery. Anthony Quattrocchi is the Community Relations Representative for Sunrise Detox Alpharetta. 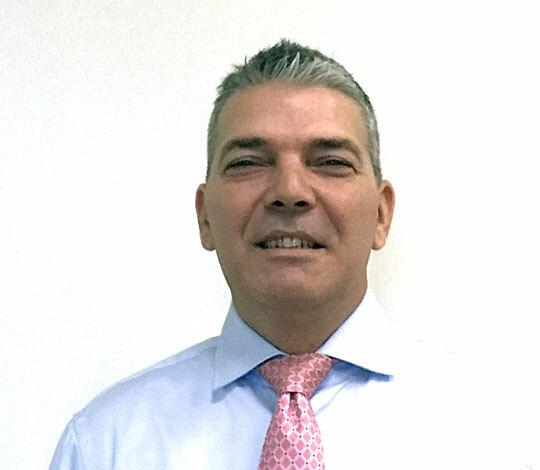 Anthony is dedicated to developing long term trust with clients and the collaborating organizations. Effective team work enables clients to receive the highest quality of care, when they need it, along the continuum from crisis through recovery. Contact Anthony to discuss how we can work together to support your clients, and how the Sunrise "Detox with Dignity" program can help with compliance and treatment plan adherence. 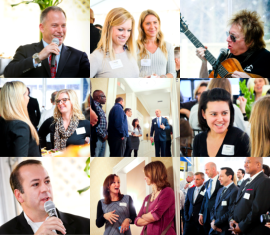 The Open House Celebration and Networking Event of January 14th was a great success. Almost 300 guests attended, including local community leaders, treatment industry professionals, business leaders, and even associates and colleagues from as far away as Texas and New York! Our professional event photographer captured the action, and we are sharing the photos with you in our online Open House photo gallery. We've started posting photos in batches, so check back often to see more photos added to the gallery over the next few weeks. Sunrise Detox Alpharetta is located north of Atlanta, and serves the entire Greater Atlanta community. Guests at the detox facility may come from Alpharetta or Atlanta, or from cities and communities within a few hours drive from Alpharetta (such as Birmingham, Nashville, and Charlotte). Guests may also arrive from farther way via flight into Hartsfield-Jackson Atlanta International Airport (ATL). Transportation is available from the airport directly to the admissions office in Alpharetta. If you need to start rehab with a comfortable detox, we want to help make that happen right away. Sunrise Detox Alpharetta is just north of the Buckhead community of Atlanta. The City of Alpharetta is close to the communities of Village Green, Alpha Park, Jamestowne, Sterling Heights, Lake Union Hill, Surrey Place, Wedgewood Forest, Andover North, Preston Ridge, Webb, Crabapple, Fields Crossroads, Wyndham Farms, Sunnybrook Farms, Hidden Valley Farms, Five Acres Estates, Milton, and Newtown. Wikipedia lists "Buckhead" as the collective comprised of the following neighborhoods and communities: Ardmore, Argonne Forest, Arden/Habersham, Brookhaven, Buckhead Forest, Brandon, Brookwood, Brookwood Hills, Buckhead Forest, Buckhead Village, Castlewood, Channing Valley (including Memorial Park), Chastain Park, Collier Hills (including Brookwood Hills), Colonial Homes, East Chastain Park, Garden Hills, Haynes Manor, Historic Brookhaven, Kingswood, Lindbergh/Morosgo, Loring Heights, Margaret Mitchell, Mount Paran/Northside, Mount Paran Parkway, North Buckhead, Paces, Peachtree Heights East, Peachtree Heights West, Peachtree Hills, Peachtree Park, Pine Hills, Pleasant Hill, Randall Mill, Ridgedale Park, Springlake, South Tuxedo Park, Tuxedo Park, Underwood Hills, West Paces Ferry/Northside, Westminister/Milmar, West Peachtree Battle (also known as Wesley Battle), Whitewater Creek, Wildwood, Woodfield, and Wyngate.